As a field, why should librarians care about white privilege? How does it affect our work? Children absorb so much of what they see, like sponges; when they read books, watch TV, or listen to music, they pick up on the messages, intentionally placed or not, in these forms of media (Carnegie Mellon, 2013). If these messages are positive, or varied, then children use these ideas to help form their self-image. White children can see themselves represented in all kinds of books, doing all kinds of things — having adventures, spending time with family, playing with animals, and so on. But what about kids of color? With the dearth of multicultural children’s literature (see infographic below), what messages about children of color are all children absorbing? Are white children learning to associate negative traits with their peers, and are children of color receiving bad or mixed messages about their race and heritage? If so, then it is obvious why this should matter to librarians who serve children and their families. As librarians, we have the duty to provide access to information, but also hold the responsibility of caring for our community’s children. When we plan storytimes, we do so not only because it helps to circulate books or promotes reading, but because it helps children grow and socialize with others. We are invested in their well-being and development from the start — we help growing families, too! So when we purchase books that depict certain groups of children negatively, or only buy books that feature certain groups, we do a disservice to our profession and the communities we serve. When we try to claim neutrality, we miss the point that to be neutral in this climate means, in practice, to stick with the status quo, which has historically and globally been oppressive for many groups of people. When we embrace books that are inclusive, we help children develop positive opinions of themselves and others, and help them to develop empathy. We teach them to be critical thinkers, and to be more aware of the world in which they live. At the 2018 Association for Library Service to Children (ALSC) conference held in 2018, one panel entitled “Review is Critical: Developing Decolonial Book Evaluating Competencies” offered an opportunity for librarians to learn about examples of white privilege in children’s books. Additionally, the panelists discussed examples of ableist and homophobic messaging and language in children’s books, with the idea that these instances may be commonly missed by librarians, particularly those who are of white, cisgender, heterosexual background. Edi Campbell discussed how depictions of darker-skinned, or “black” beings/animals, often comes with negative connotations. Children become used to associating dark/black with evil, bad, or unlucky. This effects their self-image and identity. Additionally, Campbell noted that while many white librarians may see monkeys in children’s books as cute, especially when they are anthropomorphized, for black children and adults, the experience isn’t as “cute.” Historically, Black people in the U.S. have been compared to gorillas, monkeys, and another animals as a method to take away their humanity. By doing this in children’s literature, especially when the political climate is what it is, Campbell asserts that children can suffer from such negative portrayals. In the audience, many white librarians said that they hadn’t been aware of the negative associations with Black people and monkeys; yet this is something, Campbell notes, that Black children grow up understanding and absorbing. Not knowing is an act of white privilege, and purchasing these books with such negative portrayals helps to further this harm. Lugo discussed Latinx representation, especially in regards to the Spanish language in children’s literature. She noted how many children’s books may include Spanish, or have Latinx characters, but do not do so accurately or with respect to the cultures they take from. She points out that the “Spanglish” used in these books often isn’t accurate to the way it is used in real life; see the image above with “fiesta” and “amigo.” Instead, the text reflects how non-Spanish speakers see the language, rendering it something akin to sprinkles you put on your ice cream. In reality, the way people blend their languages is much more complex, and not showing this in books not only distorts reality, but does not provide accurate representation to those who seek it. At the end of the session, the panelists offered tips and tools for librarians and educators — but no examples of “good” books. This was an intentional effort to push librarians to identify books on their own as being examples of good, mediocre, bad, or even harmful representation. While there is certainly a push for #OwnVoices books (books written by, and for, people from the certain marginalized lived experience), the answer simply isn’t to buy those books. Instead, librarians must actively work with the communities they serve to find books that are authentic and accurate, and must listen to others when problems with such books are identified. Instead of reacting with ego, or ignorance, about the white privilege in the books they love, they must learn to put children first. The author of this blog attended the panel in Cincinnati, Ohio, in September 2018. Any errors reflect her notes and memories, and not the discussions/work of the panelists. On her renowned website, Americans Indians in Children’s Literature, Debbie Reese (Nambe Owingeh), offers insights into works pertaining to Native identity and history in the United States, and elsewhere in the world. She suggests excellent titles that portray the complexity of Native identity, such as A Day With Yayah, or First Laugh — Welcome, Baby! which could easily be featured in the inclusive examples on this blog. Many people in the field, including myself, use her blog for recommendations, and appreciate her research and analyses. She also highlights books that she would not recommend. 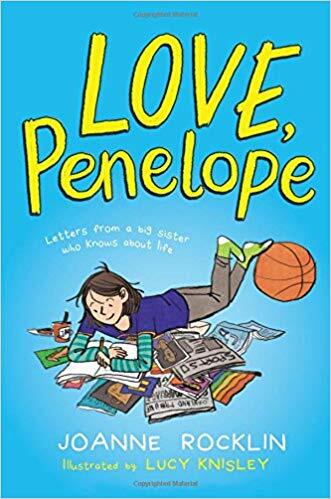 One recent example is Love, Penelope (her review linked here) by Joanne Rocklin. Although this book features LGBTQ characters, which are sorely lacking in middle-grade novels, it seems to stumble a bit when it comes to Native representation. Reese notes that it mixes up important information about the nation mentioned in the novel, the Ohlone, and their practices. Additionally, it supports the idea that one can be “50%” (or whatever percent) Native, when no one is a percentage anything, and when Native identity is tied to tribe, family, history, and culture, and not just genetics. Reese also notes that it is evident that the author did not do enough research on sovereignty of Native nations. While this book is not as offensive as earlier books that depicted Native groups, (see: Laura Ingalls Wilder’s books), it does speak to another idea of white privilege. Spreading harmful information doesn’t always take the form of purposely writing or making racist art; instead it can take the form of unknowingly erasing certain elements of an experience. As a white person, I may not personally know the importance of sovereignty for Native nations; I may only think of issues of racism. That is not an intentional oversight, but an example of how my own experience may prevent me from seeing reality. My own perspective is biased, as is anyone’s. As librarians, it is our duty to seek out a variety of resources that can help address our biases.